* We recommend downloading the PDF in Adobe Acrobat X (10+) or Adobe Reader DC for optimal compatibility and interactivity. Activate images and texts in the issue with your cursor. 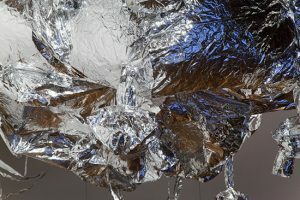 CRITICAL PATCH probes the present and future of digital technologies in arts institutions and artistic practices. The special issue features a review by Adrienne Crossman and projects and presentation excerpts from Alison Humphrey, Steve Daniels, Rozemin Keshvani, and David Bobier. 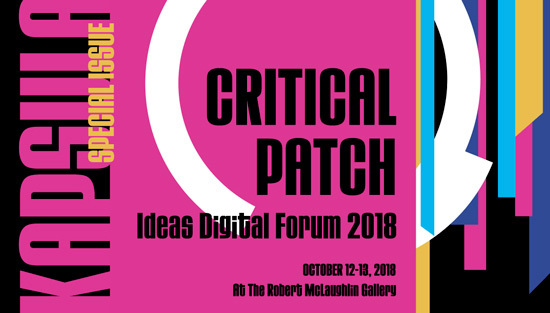 CRITICAL PATCH is the second and final segment of a digital publishing project organized by KAPSULA in response to the Ideas Digital Forum—a two-day gathering of engaging conversation amongst arts workers about the role and impact of digital technologies on the ways we do our work. Each contribution offers another entry point for envisioning how digital technologies can help us address the challenges we face both within and beyond gallery walls. KAPSULA Magazine is a network-driven publication dedicated to engaged, evaluative art writing. Entirely digital, the publication explores formats exclusive to web-based documents and aims to advance online art publishing through experimentation and collaboration. To receive more content from KAPSULA, subscribe for free at https://kapsula.ca/subscribe. As always, feedback on KAPSULA’s publishing projects is encouraged and can be sent to sara@kapsula.ca or anonymously through our website. If you’d like to make it a group discussion, reach out to us through Twitter or Facebook.